The world has come to a turning point. A crisis is before us all. It is a crisis of light. The darkness that brought about the flood has now been answered with a light that is brighter than rainbows and full of greater promise. The light of the world, Jesus Christ, has come into the world as the source of salvation for all who obey him. Those who follow him, who walk in the light as he is in the light, are cleansed from their sin (1 John 1:7). 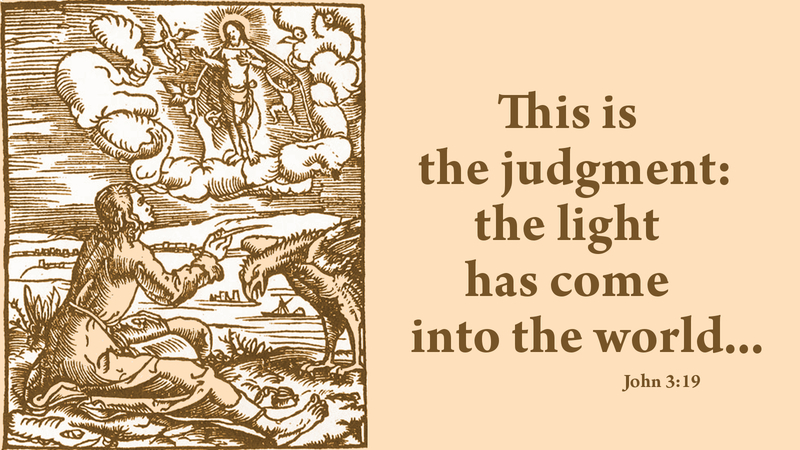 Yet, here is the crisis or judgment: those who do not believe in the light, are condemned to eternal darkness. God sent his Son into the world to save us from darkness and death. We do not need to perish like people did in the days of the flood. God’s new covenant promises that whoever believes in the light of the world, his only Son, Jesus Christ, will not be condemned. Faith in Christ averts the crisis and brings eternal life in the glorious light of heaven (Rev 21:23). Prayer: Thank you, Lord, for being my light and my salvation. Amen.